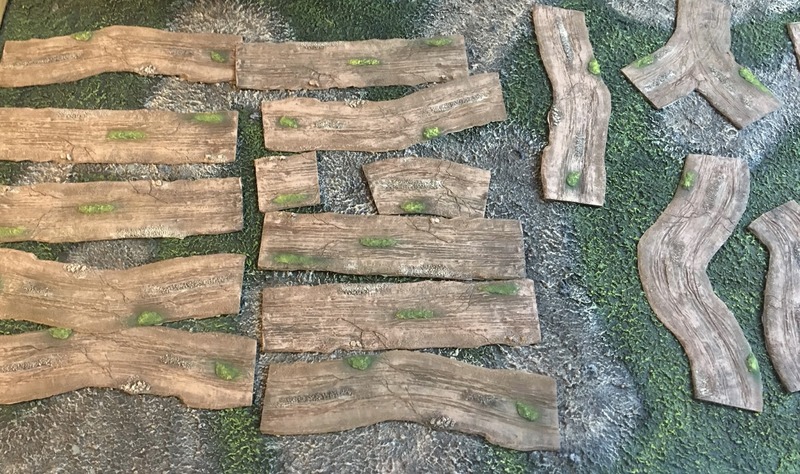 Slowly working through a backlog of terrain projects. 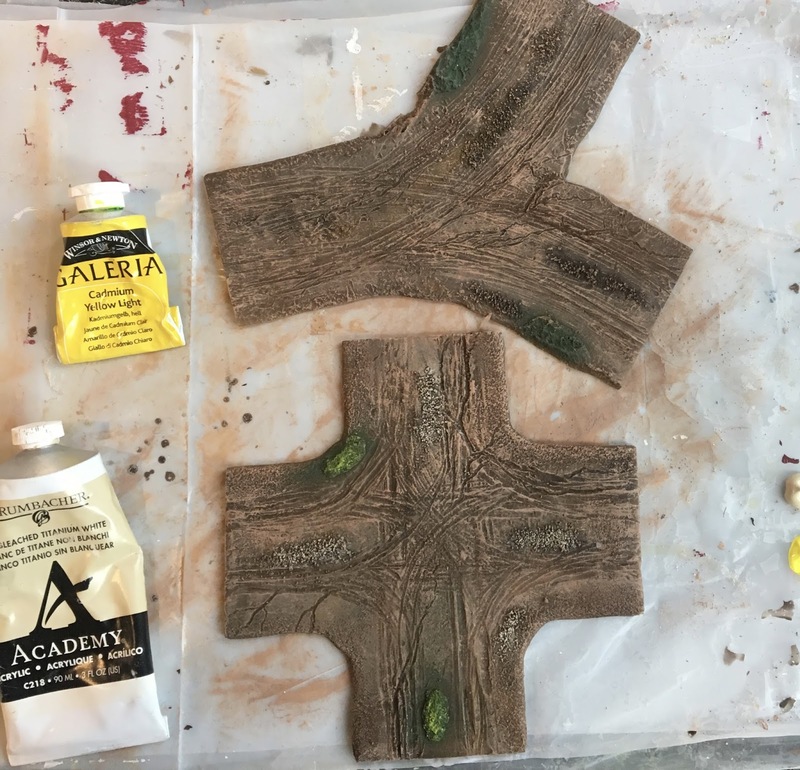 I bought some flexible roads from Novus Design about 6 months ago, they are prepainted but really in the most rudimentary fashion. I have planned to dry brush them to improve their look and finally got to it today. Took less then an hour and i used juste 3 colours. 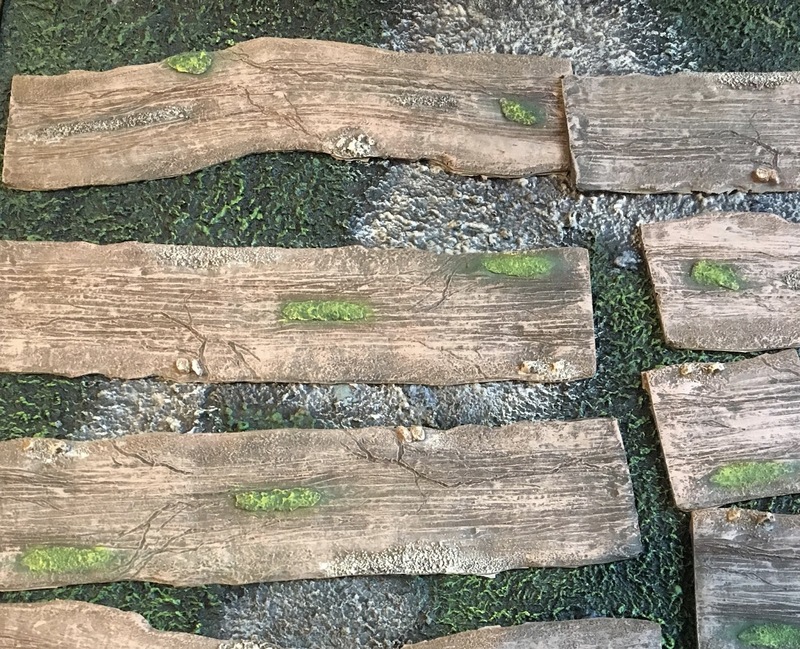 As you can see from the top piece the only prep done by the company was to paint some free patches and to put a dark wash around the stones. 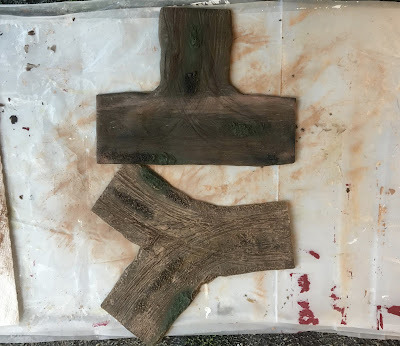 My first step was to dry brush the whole piece Mocha trying to avoid the green patches only. I think they came out OK and are a definite improvement. I could have gone with a dark and light grey on the larger stones and may do so some day but they are good for now. 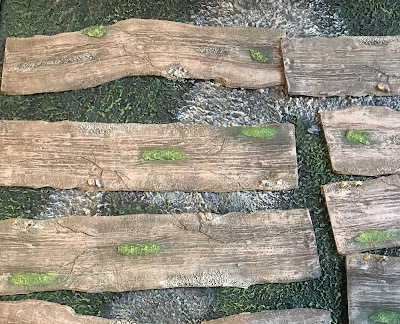 I have maybe 20ft of road that is good for my usual 6x4 tabletop. I have seen a lot of roads and have bought a few these are the best I have come across so far. Nice work. You've inspired me to have a go. They are well worth it. Excellent job with these roads! Really good job, what an improvement. Thanks George, I think it is. Well, that's a very dramatic improvement, for an excellent final result. My Favorited roads were the flex terrain ones by Editions Brokaw; unfortunately, they are long out of production so I have suipplemented them with others. Thanks Peter, I am looking forward to see how the rivers work our from the recent kickstarter.